2. Click on "Store Setup"
3. Under Store Setup click on "Design" option. 4. Click on "Edit HTML/CSS" option under Current theme heading. 5. On left hand side click on "Footer.html" option . 6. 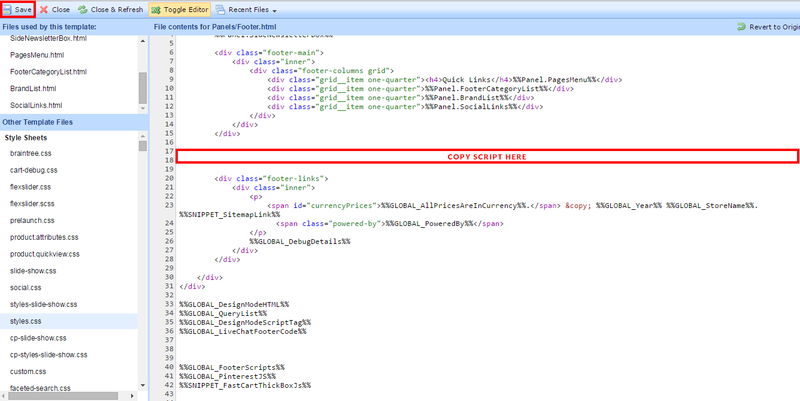 Paste the script over there & get started.